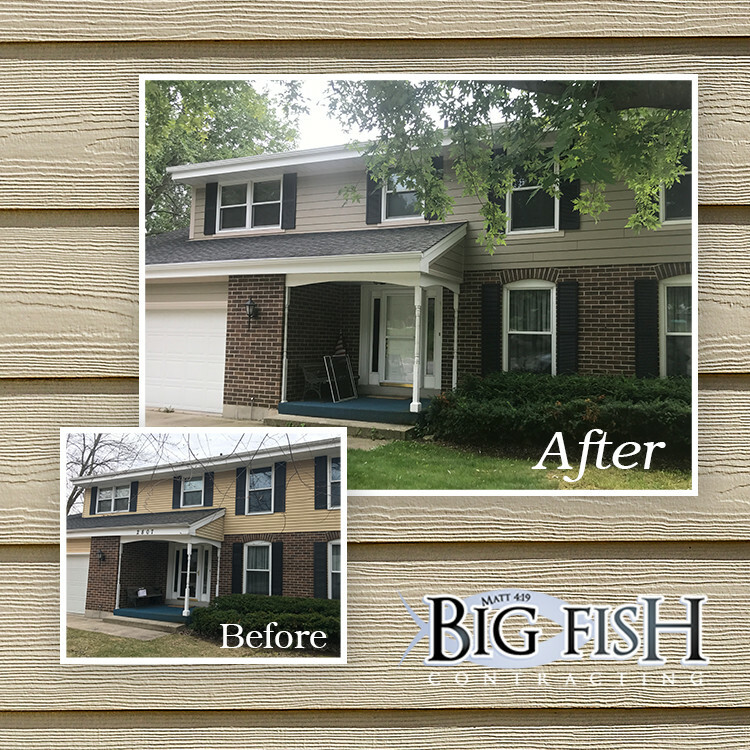 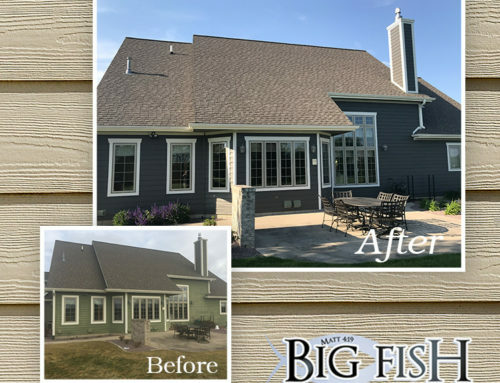 Big Fish Contracting was honored to be able to transform the exterior of this home in Waukesha! 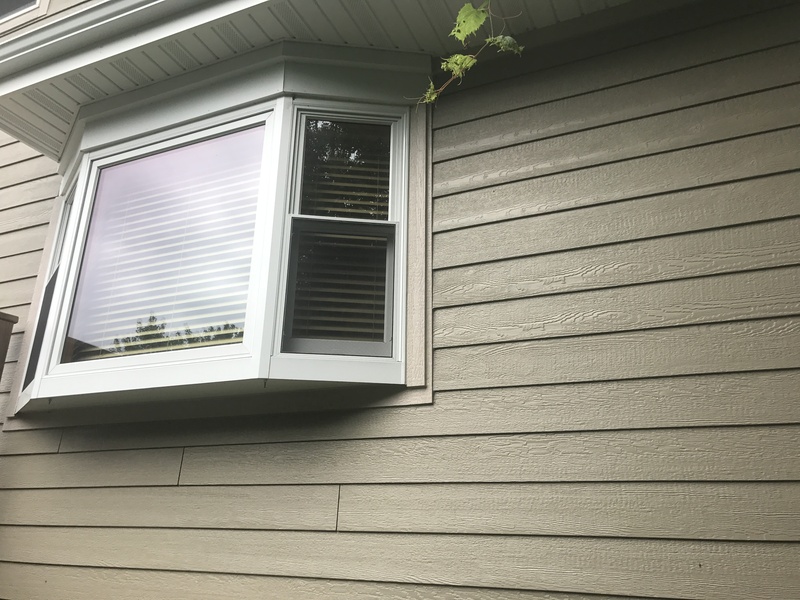 The old aluminum was tired and worn out. 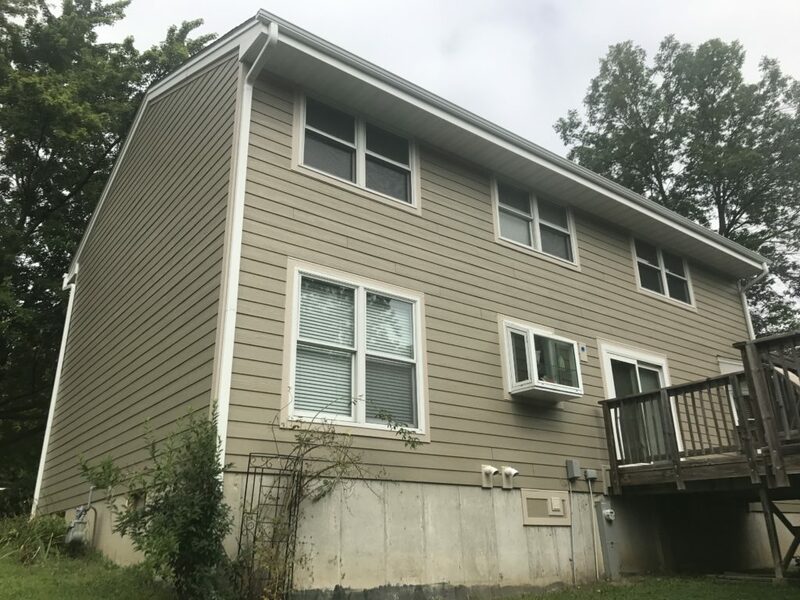 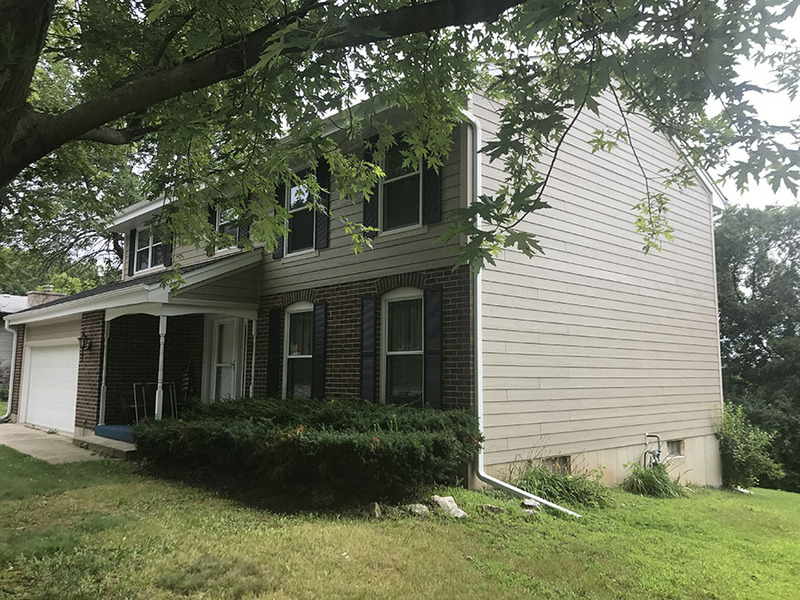 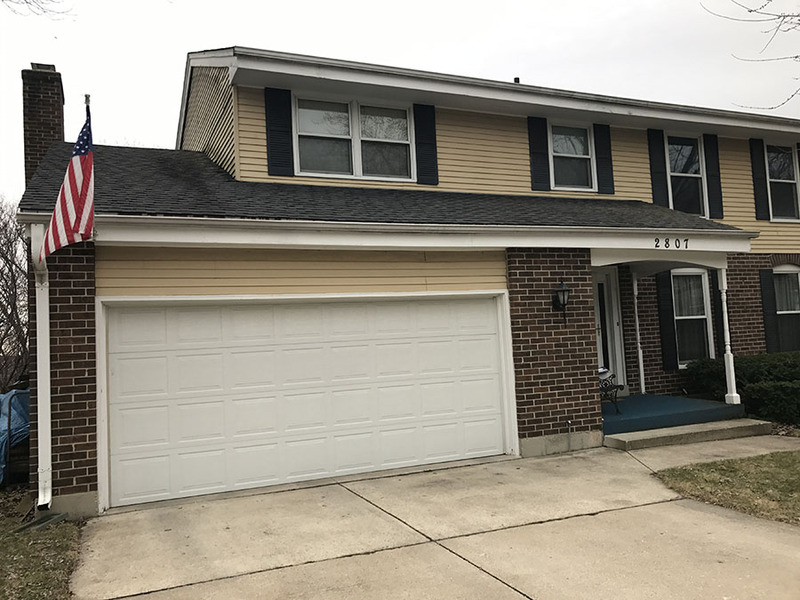 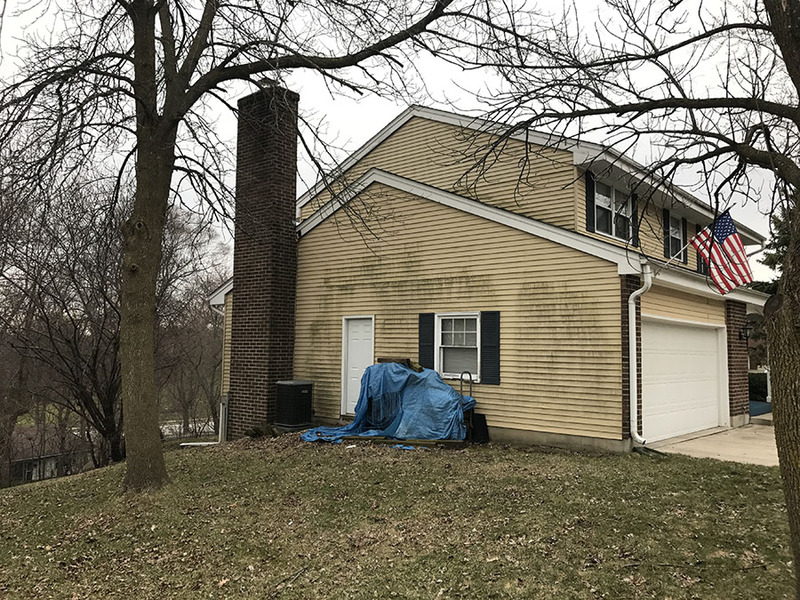 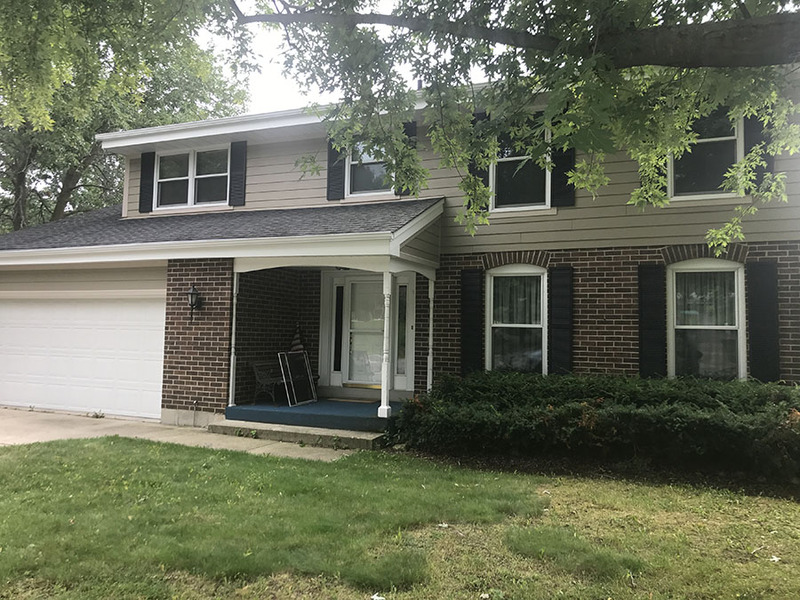 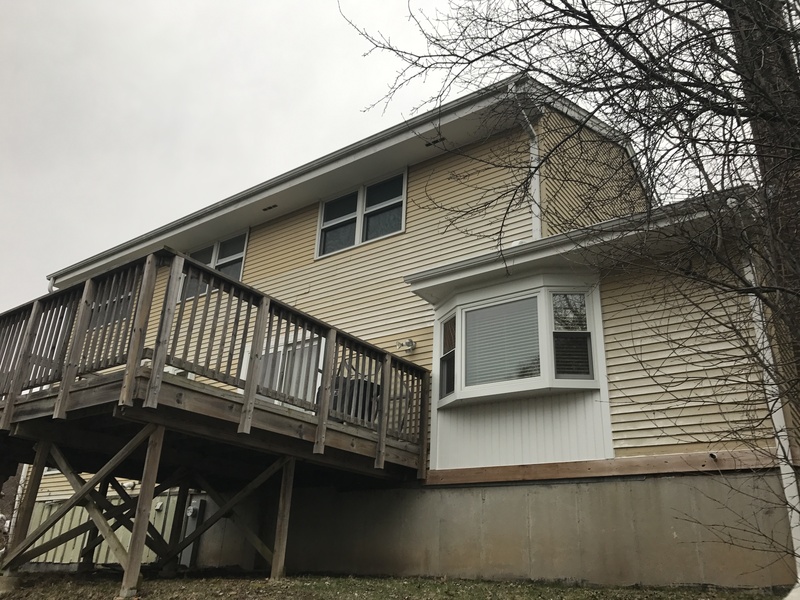 We removed all of the old siding and even an existing service door and installed brand new LP Smartside pre-finshed horizontal lap siding and trim. 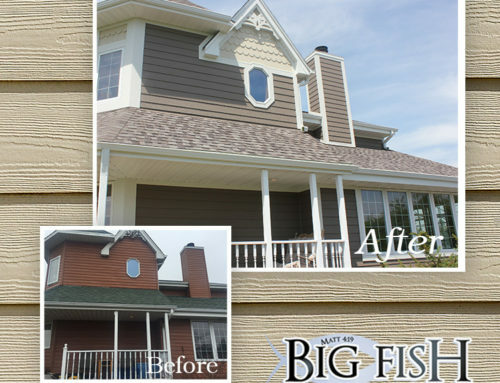 The color of the siding is Pebblestone clay and the trim is Desert Sand. 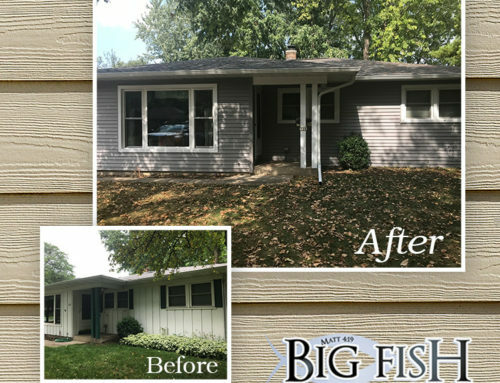 We also cladded the soffits and fascia with white aluminum and accented the front with new vinyl shutters.